Home > Life is perfect..
Not an easy statement to make but something which we all aspire to do. So when a resident on our parks makes a statement like this—you can imagine the joy it brings to all of us. We are talking about a very beautiful couple, Mr & Mrs Kerridge. 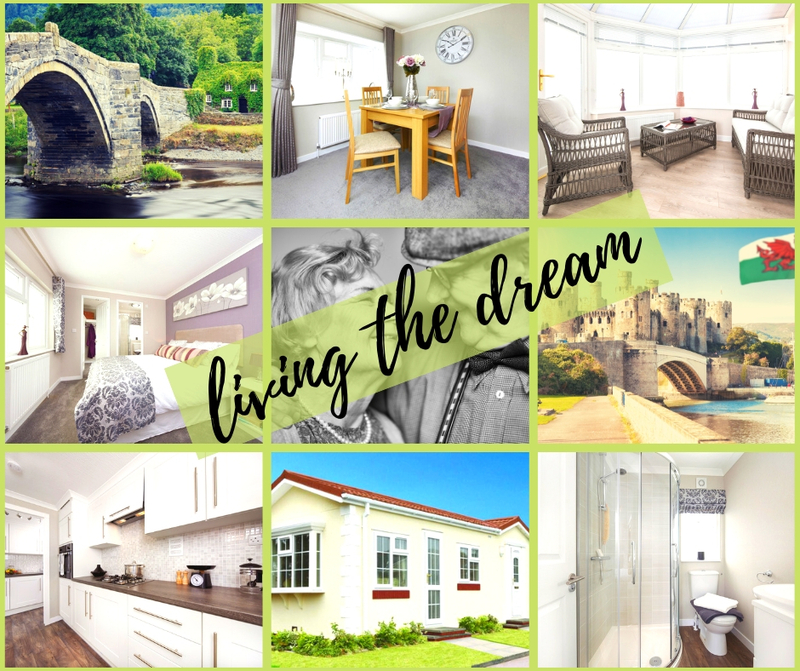 They moved into a luxurious new Omar Regency Park Home in December on the absolutely stunning Bryn Gynog Residential Park located in Conwy, Wales. They were previously living in a 3-bed semi-detached home in Manchester and when their kids moved, they decided that they wanted to downsize and retire to a semi-rural location, close to the sea. Let’s hear it straight from Kristina and Tony Kerridge. Q. How did you decide about a park home? My friend has a park home and we have visited her many times over the last couple of years. So we knew that Park Homes are luxury bungalows and not cheap caravans so we did not need any convincing on that part. We just needed to get our bucket list of requirements ticked off to choose a park basically. Q. What was most important to get right? We knew the house we wanted as we had a fair knowledge of park homes. We definitely had to be near the sea and definitely have outside space. We knew that park homes were a bungalow-style layout and that was very important for us. Last we had to have walks and lovely views nearby. Q. Why did you choose Bryn Gynog Residential Park? We started looking for park homes and came across Wyldecrest Parks website. We requested for a chat and we sort of narrated our wish-list of being near the sea and our budget etc. Bryn Gynog Residential Park ticked most of the boxes and we scheduled a visit to see the actual site. I literally fell in love with the home and the location. Our back garden backs onto a stream and the views are amazing. Q. What do you like about living on a park? I think the environment is so happy and it is such a change to the ‘normal life’ in Manchester. We love living with people of our age group and how we all care for each other. We would like to recommend it to everyone thinking of a move. Q. Anything else you would like to share with us? Well, the park and area simply work for us. We have a small dog called Chica who loves the walks and the open space around. We have 3 grown-up kids and 1 grand-kid and they just love to visit us and it’s so great that they can visit us when they like. Our whole park is very close-knit and we all know each other, our kids, everything. But we do have privacy and there is never a feeling that we are intruding or being intruded upon. What a lovely story and such a nice feeling that the Kerridges are so happy and settled in their park home. We are proud of managing our parks well and also of our relationships with our residents. Wyldecrest Parks would like to invite you to come and experience what life could be like and how we can help. Why not come down to a park of your choice and see what we have to offer whilst enjoying a cup of coffee and a slice of cake. Our brand new fully furnished home start at £79,995. Please call us on 0300 133 7300. A peaceful, rural park, set into the hillside, it is approximately only half a mile stroll to Conwy town and harbour. This beautiful park with breath-taking views is near to all local amenities. There is a doctors surgery close by, a local church, pubs, coffee houses as well as a large variety of shops, both large general stores and smaller independently owned businesses. We have a brand new Omar Regency coming soon on this lovely Bryn Gynog residential park why not give us a call for complete details.